Chelsea midfielder N’Golo Kante has all-but ruled out the possibility of being distracted by rumours of a move to Real Madrid this summer. The 27-year-old has been a fundamental figure for the Blues since joining the club in 2016, making 132 appearances over the last three years. In that time, he has helped them to a Premier League title and FA Cup, while he also lifted the World Cup last summer to continue to establish himself as one of the most important midfield stars in Europe. 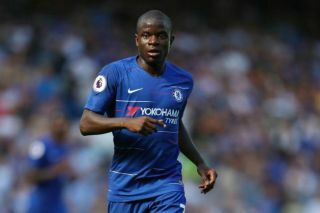 With that in mind, it would make little sense for Chelsea to allow him to leave, and fortunately for the Premier League giants, it doesn’t sound as though Kante has any plans to leave Stamford Bridge either as he responded to speculation of a move to Real Madrid to join up with Zinedine Zidane. That will undoubtedly be music to the ears of Chelsea fans, as they’ll be eager to see the French international remain for many years to come as he remains a vital part of their plans moving forward. Despite changing his position and role under Maurizio Sarri this season, losing Kante would be a major blow, but even the appeal of being part of a potentially major and exciting rebuild in Madrid isn’t on his radar for the time being at least. Further, with Chelsea still battling their transfer ban, as noted by Sky Sports, if they are unable to sign any new players in the next two transfer windows, the last thing that they need is to lose any key individuals in that time either. Nevertheless, as they continue to struggle to secure a top-four finish in the Premier League this season, they’ll certainly have to improve to keep their top players happy.